by Kathey Batey, author of Suddenly Single: Rebuilding Your Life after Divorce. Divorce has many complexities which can cause us to fear what’s over the horizon. 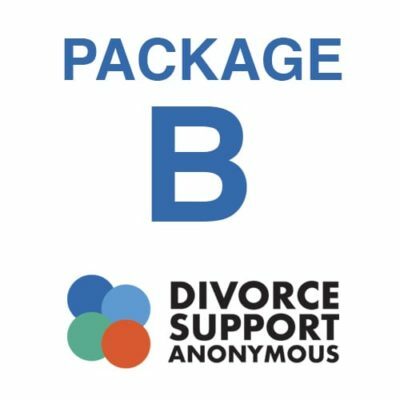 Support in the key areas of divorce is like your team manning the ship when the storm comes. You need a team of experts to help you navigate these unpredictable waters. 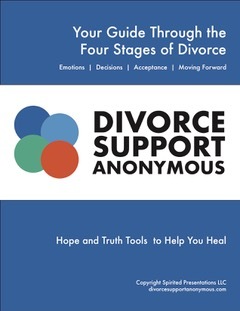 There are guided passages to navigate your divorce and save you time, energy and money. Get counsel, get your network of experts. You cannot know everything there is to know in the areas you will travel. Legal, financial, emotional, spiritual experts know the ropes and are there to help. Use them. Emotions– You need mental discipline to hold the helm steady. Emotions out of control will sink you every time. Waves of grief will wash over you. You can plan on that in this storm. Let them pass over you to relieve the weight of this trauma. Allow yourself the truth that this is one of life’s most traumatic experiences. Cry with a trusted friend or a divorce support group. Emotions are not trustworthy and can misdirect you. Who is your expert in guiding you through these emotions? You need to be talking to someone. You can’t man this ship alone. There is a lighthouse for guidance. If you have never sought spiritual counsel, now is a good time to find the Lighthouse. It is unmoving and trustworthy, especially in this storm. This is a spiritual battle as well as an emotional and financial one. Finances – Get your financial expert along with your legal expert. List and know all your assets, debts, interest rates, value and accounts. Bring your best business sense into your divorce. Be fair, be strategic be ready to collaborate. Divorce is dividing life into two different piles. Intimate relationships have now come down to a business deal. What are the tax ramifications of the financial decisions you make? Uncle Sam is the only one who can find you in these blustery seas. Meet with your financial expert as soon as you know you are going through a divorce. There will be retirement rollovers, accounts that you must know the value, and the consequences of dipping into. There will be the pirates of penalties if you resist their guidance. All monies and assets are owned by both parties until the divorce is filed, (in rare cases the day one of the parties leave). All finances must be fully disclosed. Now is not the time to careen the ship by spending or subterfuge funds. Don’t be careless with finances right now. Keep your life as simple as possible until you reach shore. Legal expenses can sink you financially. Seek alternative ways to resolve your divorce other than the courts battling it out. Mediation is one method. Another reason why you need your team of expert helmsmen to guide you through the safest passage. I must confess, this is not a short voyage. Searching for smooth waters won’t be found for a while. Seeking peace is natural and understandable during this tumultuous storm. But if you chart the course with wise counsel, prayers and simplicity you will find your smooth sailing and find your new normal in a couple of years. Jerry bought the $35,000 boat he always wanted. The divorce was final, he wanted to do something to show his independence. Jerry let emotions carry him away to debt. Instead of understanding the trauma he was going through, and facing his pain and rejection, he coped by spending money he didn’t have. Belinda bought a new house that maxed her earning potential. She wanted to keep up the lifestyle she had known before the divorce. When the housing market sank in 2008 and her hours at work were reduced, she was left high and dry. She was house poor and took over a decade to climb out of her setback. Carrie waited until two years went by after the divorce. She let the dust settle before she made any major decisions. When she had a full understanding of her debts and expenses. She bought a modest home that she could easily afford with a fifteen-year mortgage. She could still contribute small amounts to her 401K and the kids 529 plan. Her kids adapted to this lifestyle because Carrie had an optimistic outlook and she expressed it to her children. In fifteen years, who do you think will be the most content with their lives? Those who moved slowly and made decisions based on guidance and wise choices. Divorce is a time of choices and wise decisions. It is a painful time and a powerful time. Find those competent individuals who can help you maneuver and help you so you don’t go through this storm alone. Kathey Batey is the author of the Suddenly Single book series released April 1, 2018. 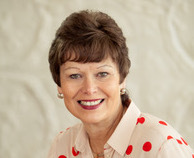 She is a domestic mediator and facilitates divorce support groups online and locally in Grand Rapids, MI where she resides. Visit her website www.DivorceSupportAnonymous.com or her Facebook page Divorce Support Anonymous for more information.